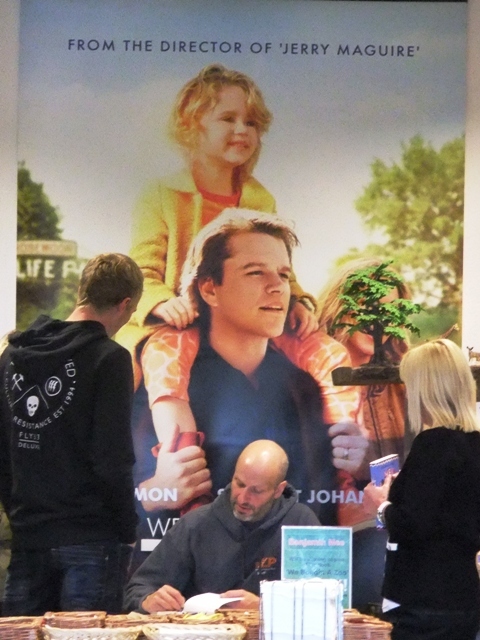 It’s been crazy-busy here at Chichester Copywriter HQ for the past couple of months but a few weeks back Katy did manage to take a weekend off to visit Dartmoor Zoo, the setting for Benjamin Mee’s fabulous book and inspiration for the film starring Matt Damon. We all know that we’re not having the balmiest of summers and, unsurprisingly, our West Sussex copywriter’s trip to Devon was accompanied by a fair few rain clouds. But Katy wasn’t disheartened and, as it turns out, the inclement weather had some quite wonderful results. 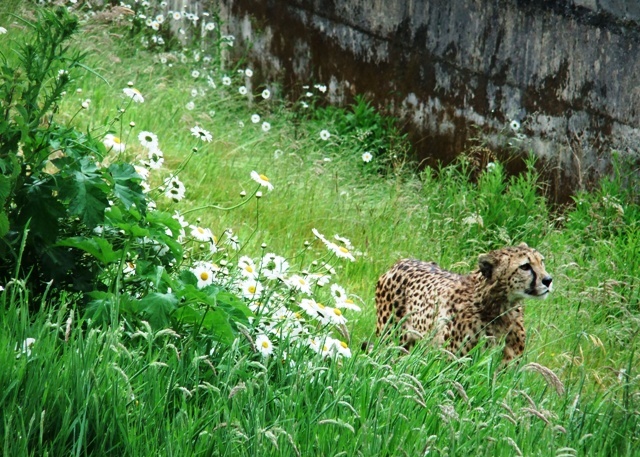 The heavens opened as soon as Katy and partner Pete arrived at Dartmoor Zoo but one of the first enclosures they came to revealed that the weather wasn’t going to mar their visit. 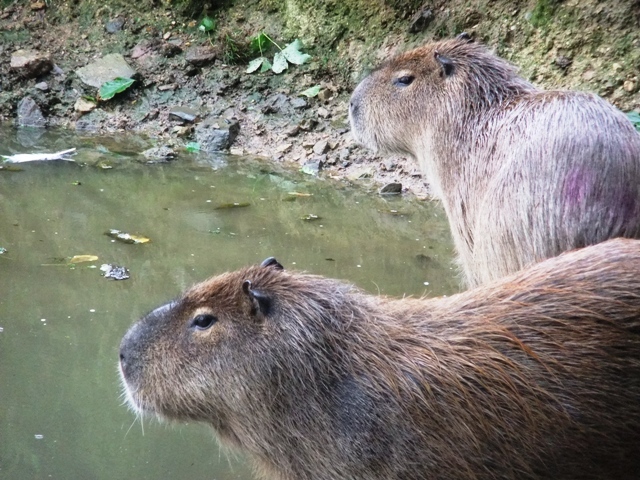 They saw some capybaras (giant guinea pigs) sitting by a stream enjoying the wetness – they’re semi-aquatic you see – when one by one they started diving in the water. They continued to put on a special little show where they towards and away from the pair while making the most adorable and amusing barking/squeaking noise. 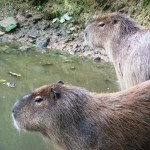 These giant rodents have so much character and were a real pleasure to watch. Then, what did our creative copywriter spy through the trees? 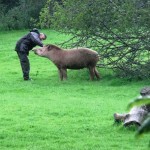 Yes, you’ve guessed it – a tapir! Katy tried to get a closer look but the gorgeous Brazilian creature was using its prehensile snout to forage among the branches. She did, however, enjoy seeing the keeper enter the field and approach the tapir to stroke her nose. 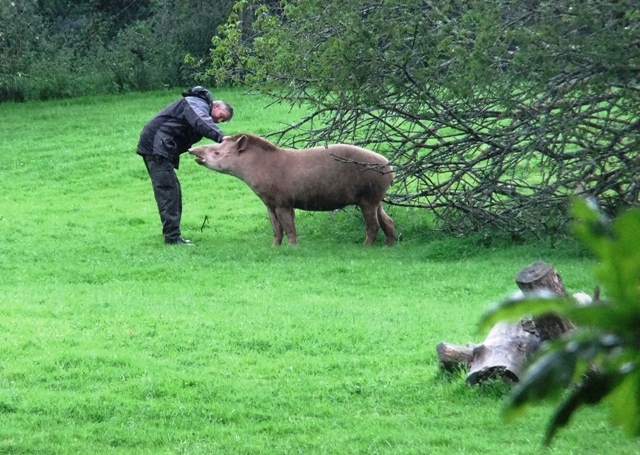 It turned out that the stormy weather had previously scared the tapir and caused her to run into a fence and graze her nose. 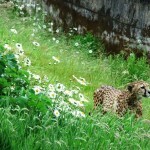 She seemed quite happy though and it was lovely see such dedication from the Dartmoor Zoo’s keepers. 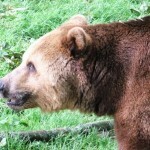 Next up was a visit to the bear enclosure – another animal that Katy was very excited about seeing. But, alas, there was no sign of the sleepy creatures so Katy decided to try again at the end of the day. 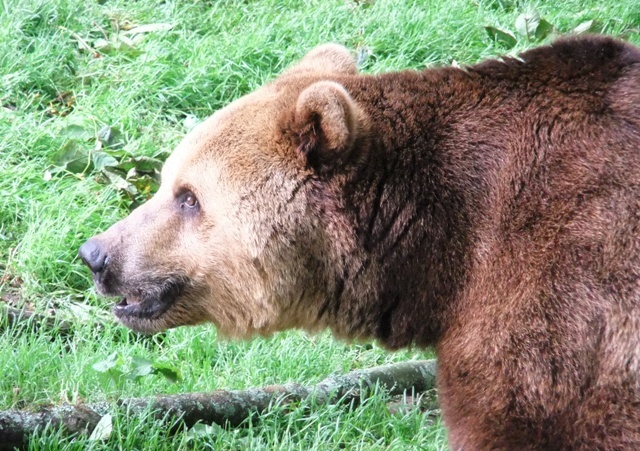 This was a side move as she returned she was in for a treat because there were not one or two but three beautiful, mighty brown bears. Each was doing its own thing – one was sitting under a tree munching, one was foraging and trying to climb a tree and another was wandering in and out of the den seemingly deciding whether to go back into hibernation. With their coats of varying shades from milk chocolate, to toffee to white chocolate, these animals were a sheer delight to watch. 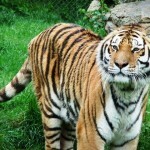 Another highlight was a visit to see the Amur tigers at feeding time. Usually, when you go to the zoo in the sunshine these big cats, who are used to cold conditions will lounge about in the shade in an effort to keep cool. 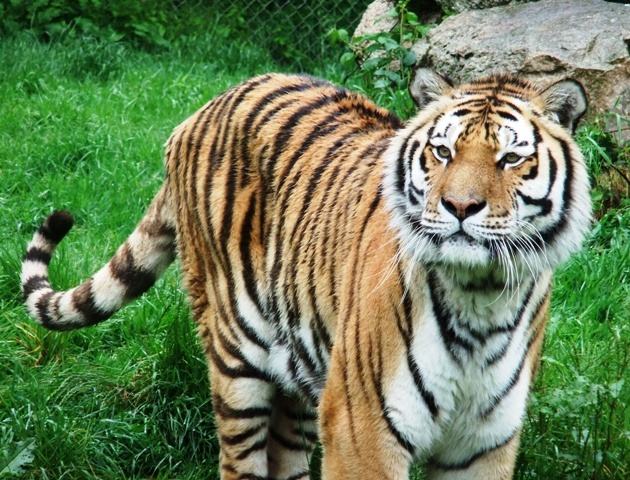 However, because it was coats and brollies weather when Katy went to Dartmoor Zoo the tigers were frisky, running and jumping around their enclosure even before they could smell their dinner. 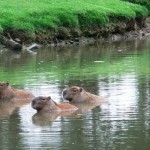 Our professional copywriter has never seen these animals so active and it was a truly heart-warming treat. In between all the animal-fun Katy visited the cafeteria where she enjoyed some tea and cake. While there, she was thrilled to see that author Benjamin Mee was signing copies of his book We Bought a Zoo – the remarkable story of his decision to buy a decrepit zoo in Dartmoor and his trials and tribulations along the way. Benjamin’s book was also the basis for the 2012 film of the same name, starring Matt Damon and directed by Cameron Crowe. Benjamin was a lovely, genuine man who took the time to chat to everyone who came to meet him at his book signing. He asked Katy where she had come from and was flattered that she had travelled all the way from Chichester, just to visit his zoo in Devon. When Katy revealed her love for tapirs a discussion of their mutual appreciation of these fascinating creatures ensued; they talked about their charming nature and the endearing squeaking noise that they make. The author even has a Brazilian tapir featured on the front of his original book cover, which made our creative copywriter beam! 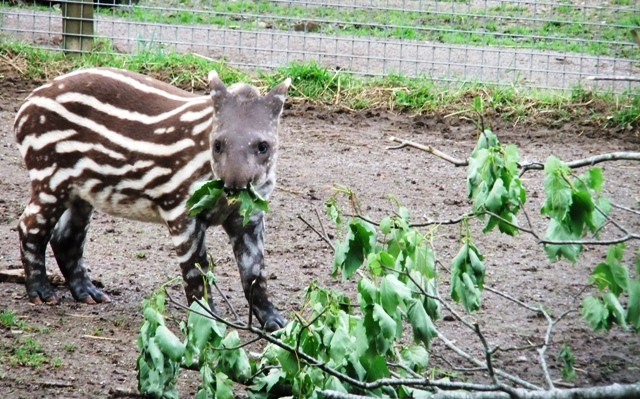 When Benjamin asked Katy if she has seen the baby tapir she was shocked and excited – how had this passed her by? After bidding farewell to the zoo’s owner, she made a dash for the tapir enclosure once again and was thrilled to see an adorable stripy creature wander nonchalantly out from the shed. It was like Benjamin had asked little Luta to make an appearance just for our talented copywriter! It was the perfect end to a perfect day. Benjamin Mee, we’re so glad you bought that zoo! 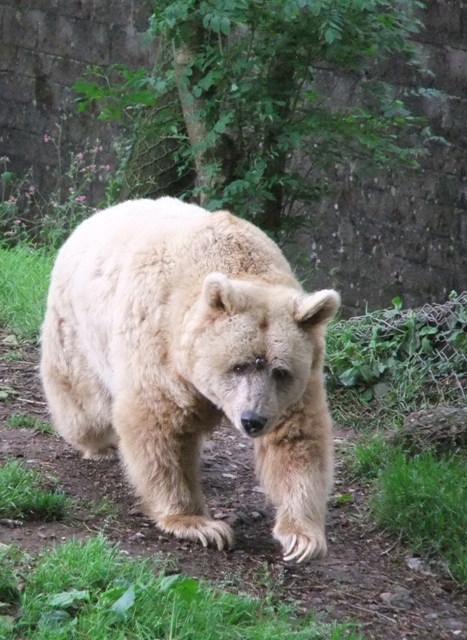 This visit to Dartmoor Zoo has got Chichester Copywriter’s mind whirling with creative writing ideas and she’ll be putting this passion into her current SEO copywriting, blogging and social media marketing projects. Good marketing starts with good words, to find out more about how Katy can help make your business stand out from your competitors please contact us today. 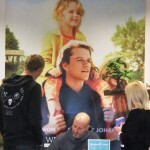 For more photographs please visit Chichester Copywriter’s Facebook page. 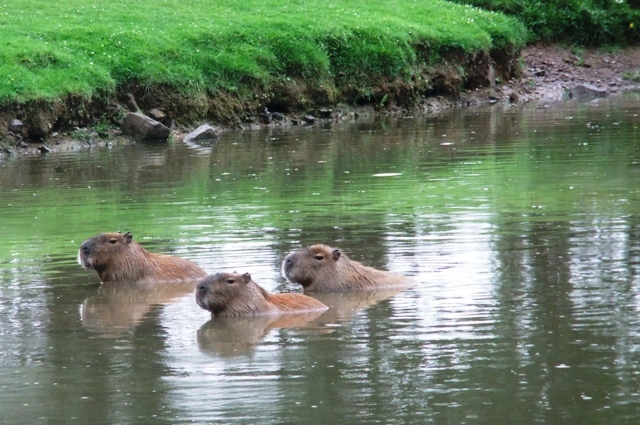 This entry was posted in Chichester Copywriter at Work & Play, Chichester Copywriter Reviews and tagged Amur tigers, Benjamin Mee, blogging, Brazilian tapir, brown bears, Cameron Crowe, capybaras, Chichester Copywriter, creative copywriter, creative writing SEO copywriting, Dartmoor Zoo, Devon, Matt Damon, professional copywriter, Social Media Marketing, tapir, We Bought a Zoo, West Sussex copywriter. Bookmark the permalink. Lovely! 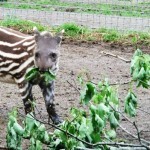 I really enjoyed my visit too and as you know thought of you when I saw the baby tapir! 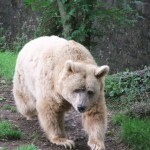 We also saw a stoat chasing a rat in the bear enclosure and heard about a recent raccoon escape. At the lion feeding we were also dismayed to learn that there are only the low hundreds of Amur tigers left in the wild… And yet over 10,000 kept as pets in the US.